Unisys Corp. has tapped Andrew Boyd to lead all account management, solution delivery and business growth activities for Unisys clients in the Defense Department and intelligence communities. Boyd, who joined Unisys from McIntire Solutions, will be responsible for delivering digital workplace services, application modernization, cybersecurity and data center and infrastructure services for Unisys federal government clients. 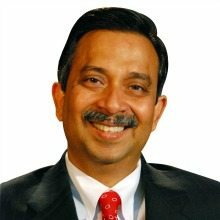 He reports to Venkatapathi “PV” Puvvada, president of Unisys Federal. Boyd was a founding partner and co-owner of McIntire Solutions, a veteran-owned small business providing industry advisory and technical services to government clients. Before that, he worked from 2011 to 2016 as vice president of client accounts at TASC, managing the company’s business with agencies such as the Office of the Director of National Intelligence and the National Geospatial-Intelligence Agency, according to Unisys. Boyd is a former Air Force officer who served in satellite operations and space-based acquisition and engineering. He holds a B.S. in Aerospace Engineering and an M.S. in the Management of Information Technology, both from the University of Virginia.